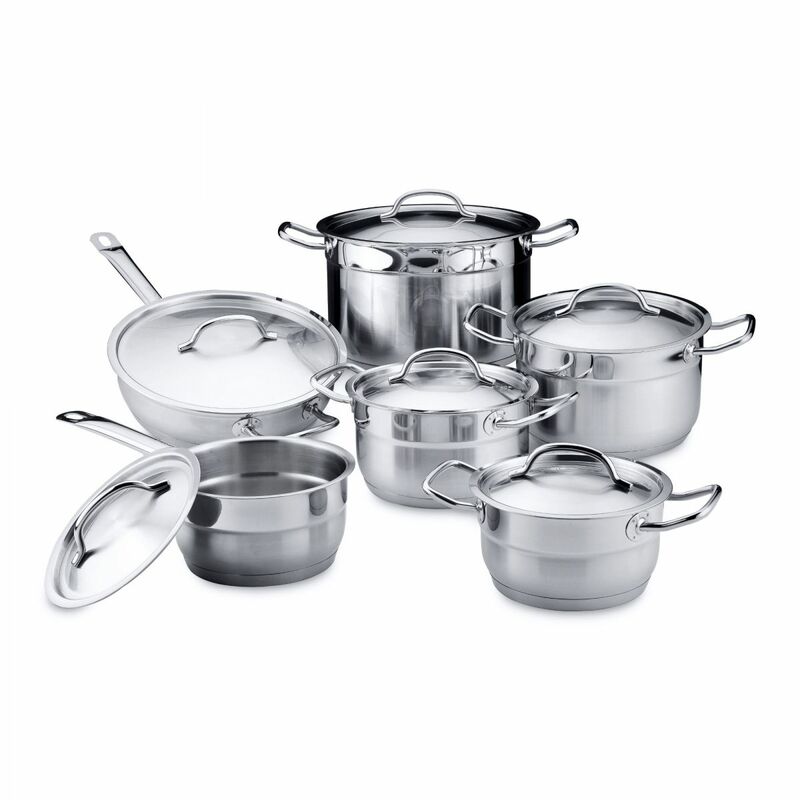 Simple, sleek and modern, the BergHOFF Hotel 12-piece cookware set covers a wide range of cooking needs. The tough, high quality 18/10 stainless steel construction means these pots are long-lasting and durable as well as looking great. The special rim allows you to pour from the pots without dripping, and the ergonomic handles help you handle the pots safely and comfortably. The set includes a 16cm saucepan with lid, a 16cm casserole with lid, an 18cm casserole with lid, a 20cm casserole with lid, a 24cm stockpot with lid and a 24cm deep skillet with lid.